Do not let limited space compromise exceptional warmth and the luxurious aroma of a crackling wood fire. 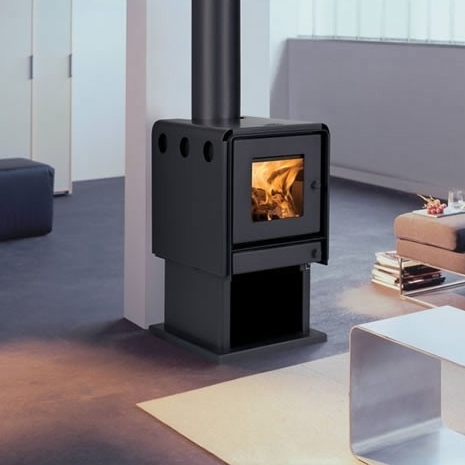 The Bosca Firepoint 360 wood fire is smaller in size but big on heat, perfect for homes up to 150 square meters. This alternative to the traditional square box wood fire is ideal for rooms where space is tight, or when the fire must fit in a corner. The Bosca Firepoint 360 fireplace is also every bit of a feature point in the room. The elegantly curved sides create a subtle design statement in your living space. Choose this sleek and compact log burner to complement and enhance the ambience of your home.